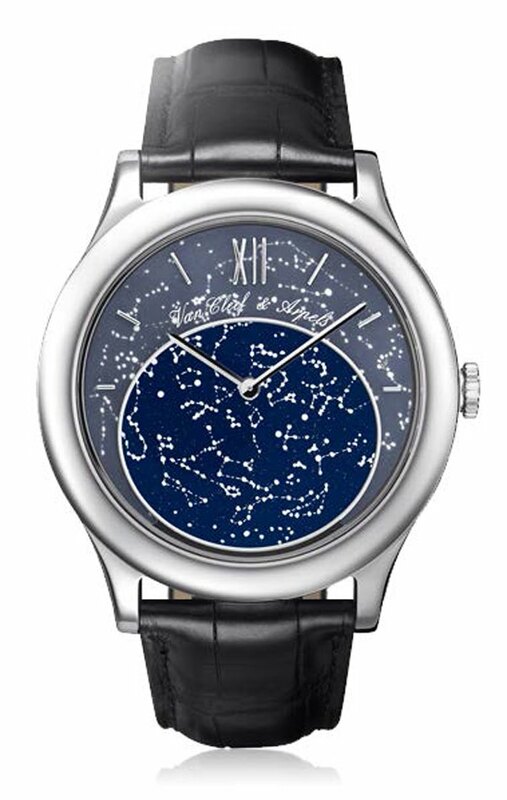 2012/06/08 - Van Cleef & Arpels "Midnight in Paris"
By combining tradition and modernity, Van Cleef & Arpels has always supported gentlemen in their quest for elegance. In keeping with this philosophy, the Maison provides them with an exceptional Poetic Complications™ timepiece, sumptuous cufflinks, and an iconic fragrance, which together define the poetic identity of the Midnight in Paris collection. Midnight in Paris expresses all the poetry of a starlit night seen from the heart of the City of Light. The Midnight in Paris timepiece adds a new dimension of reverie and poetry to mechanical complications. The aventurine glass dial rotates imperceptibly over the course of a year, revealing everyday a new map of the stars in the Paris sky. On the back, the disk surrounding the calendar is set with real meteorite. The map and the meteorite give the wearer two ways of having the heavens on his wrist. The Midnight in Paris cufflinks offer the possibility of wearing the universe in miniature. Directly inspired by the timepiece, the Midnight in Paris fragrance is also uniquely modern. The perfumer behind this creation, Domitille Bertier, explains: "With this perfume, I wanted to express the modernity and elegance of Van Cleef & Arpels jewels, as well as the creative daring reflected in its watch collections. Midnight in Paris is a contemporary fragrance with fresh, luminous leather and floral notes." Van Cleef & Arpels’ Poetic Complications™ collection is defined by exceptional stones combined with precious materials and an extremely complex watch movement; they represent the epitome of an exceptional creative process. However, a Van Cleef & Arpels timepiece goes beyond aesthetic and technical aspects; it always subtly interprets time with poetic flair. This poetic interpretation, a true brand signature, is translated visually by the delicacy of an original design that tells a story. 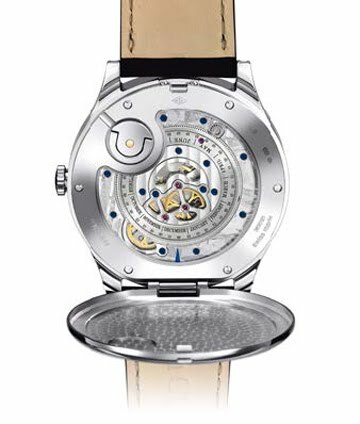 In a Poetic Complications™ timepiece, this Poetry of Time™ is brought to life using a complex, yet discreet watch movement that enhances the aesthetics and adds a touch of magic to each creation. The full measure of Van Cleef & Arpels’ watch-making skill thus further enhances its artistic and story-telling features. For Van Cleef & Arpels, Time no longer means hours, minutes, or seconds. It poetically guides you through days, seasons, constellations of stars, and other beautiful moments in life. Each Poetic Complications™ timepiece offers a more intimate interpretation of time as it beats to the rhythm of happiness and emotions.